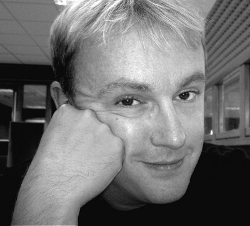 Calum Kerr is a writer, editor, lecturer and director of National Flash-Fiction Day in the UK. He lives in Southampton with his wife – the writer, Kath Kerr – their son and a menagerie of animals. 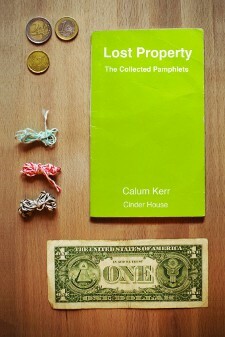 His new collection of flash-fictions, Lost Property, is now available from Cinder House: http://cinderhouse.com/product/lost-property-by-calum-kerr/ I’ve known Calum (electronically!) for a few years now and enjoyed working with him on the two National Flash Fiction Day UK anthologies Jawbreakers (2012) and Scraps (2013). I’m talking to him today about his new release and once again that fab phenomenon flash fiction and how it has contributed to his writing. Cinder House, on behalf of Dead Ink Books, is proud to present Lost Property by Calum Kerr. 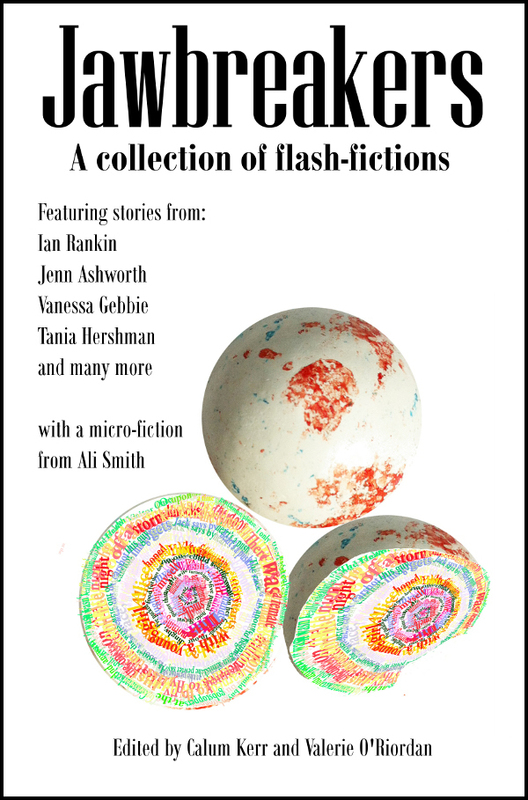 This collection brings together four brand new pamphlets of flash fiction produced by Kerr. The pamphlets featured are Singsong, Soaring, Burning and Citadel. This paperback collection contains 83 stories that move from the hilarious to the sinister and demonstrate the unique nature of ultra-short fiction. Well, between 1st May 2011 and 30th April 2012 I did a project to write a flash-fiction every day for the whole year, posting the stories to my blog before midnight every day. Doing it so publicly was a good way to make sure it happened, as if it was nearing midnight I would start to get messages and emails from readers wondering where that day’s story was. I’m proud to say I never missed one – pre-scheduling stories if I wasn’t going to be around – and at the end I had written about 160,000 words of flash fictions, enough for at least four collections! I let the dust settle when I had finished, and after a couple of months removed the blog from public access so that I could think about publishing them as collections of some sort. I put together a spreadsheet which listed all the stories and I assigned a variety of genre tags to them so I could look for trends etc. I also assessed which ones I thought were close to publishable, which needed more work, and which were probably beyond saving. So, I set about sorting them into pamphlets of about 20 flash-fictions in each. At first I started gathering them together by genre, but I soon realized that each pamphlet was going to be a bit ‘samey’, so I abandoned that idea. Instead, I looked through for four stand-out stories which contained themes which would make them a good centre piece for a pamphlet, and also provide a good title for the whole thing. These were ‘Lost Property’, ‘Sinaglong’, ‘Soaring’ and ‘Citadel’. I then went through the other 361 stories, plus other stories written before, during and after the flash365 project, and for each collection found pieces which would either compliment or work against the central story. That’s how they were gathered together in the first instance. During the editing process, we decided to make Lost Property the title of the collection as a whole, as it seemed to say something about all of the pieces, and about the nature of flash-fictions in general, and we didn’t want to have confusion between the title of the book and of the pamphlet. So, that pamphlet was renamed after ‘Burning’, another story whose title seemed to encapsulate the other pieces in that particular pamphlet. As to the ordering of the pamphlets in the book, my editor thought ‘Spellbound’ would be a great story to open the collection with. I wanted to finish the whole thing with ‘Revelation’ and its final invocation to ‘come and see…’, so the pamphlets Singalong and Citadel were placed first and last to achieve that. And I also wanted the pamphlet with the title story, ‘Lost Property’, to appear in the third quarter of the book, and that’s how the two middle collections were then ordered. It’s been a fascinating process to see how you can go from over 400 individual stories to a collection which does have a series of coherent themes and structures via a series of seemingly independent decisions – some to do with theme, some with reader engagement, and some purely aesthetic. Does flash fiction allow you to go places you wouldn’t normally with your writing? Over the course of flash365 it really freed me up. I decided, very early on, that I would attempt to delve into as many different genres, styles, perspectives, voices, etc. as I possibly could, and so I ended up going to a lot of new places and discovering things about both the genres and my own writing. When I looked back across the spreadsheet I mentioned above, however, I was surprised to see how often I considered a story to be humorous, and how often they were tagged as ‘dark’. Very often these were the same story! It certainly taught me the areas I most enjoy writing in and so, after finishing the project and embarking on a novel, I was able to make the decision to have both humour and darkness in the work and know that I would be playing to my strengths. I think also, because it is so short, flash allows you to try something new without having to commit a huge amount of time or energy to it. If it doesn’t work, never mind, you can discard it and try again. If it does, then you have discovered something new. It’s very powerful in that respect. These stories ‘move from the hilarious to the sinister’ Which is your own favourite in the collection and at which end of the spectrum does it fall? It’s a really difficult question to answer, because they have all been included because I like them. They were written on different days and when I was in different moods, and so depending on the mood I’m in when I get asked the question, the answer will be different. One of my favourites is ‘The Saxophone’ the story which I partly analysed on Jonathan Pinnock’s blog yesterday (http://www.jonathanpinnock.com/). I think it is one of the better written pieces and, whenever I read it live, it still moves me and gives me a crack in my voice by the end. That’s a sad one, and a realistic one. But another of my favourites is ‘Animate’ which features all the fixtures, fittings and furniture in a man’s flat coming to life. It’s silly and funny and I had an absolute ball writing that one. I think, though, that more than a particular story, there is a particular type of story which appeals to me. These are the ones which seem to occur in a perfectly ordinary world, but somehow it has become reflected in a funhouse mirror. Stories like ‘Idle Hands’ where a woman is able to split a tea-atom in her kitchen, or ‘The Carpet Man’ where the house-sitting son gets a visitor that is not who he expected at all. They edge towards magical realism, or sci-fi, or horror, but never quite take their back foot out of the realist camp. I do quite a lot like that, and I do enjoy them. You’ve spent a couple of years under the discipline of writing a flash fiction a day, can you look back and see how this has developed you as a writer in terms of skills, persistence, motivation etc. It has certainly honed my skills. Recently I have started doing flash-fiction writing as a performance art, displaying the word processor on a big screen, taking prompts from the audience, and writing a story in just 5 mins while they watch. They are never quite as good as stories crafted with a little more time and privacy, but they always work and they always have a certain something about them. I have learned that I can always write, as long as the pressure is there, and that I can write well in as many genres as you care to mention. That sounds immodest, but it’s really important for a writer to be able to actually know that they can produce good work. Because there are days when you feel you are nothing more than a hack, producing words with no meaning, so it’s good to know that you can actually do this thing! Well, I mentioned above that it’s the title of a story. It’s not the kind of story that you would think, either. It uses the term as a metaphor, and that’s also how I use it in the title of the collection. Flash-Fiction exists, very often, as fragments of a story. Elsewhere I have talked about them as being the perfectly shaped jigsaw piece which allows the reader to extrapolate the whole of the finished puzzle. But as such, they are a piece on their own. The rest of the puzzle, and the box, are elsewhere, and this single piece has been found down the back of the sofa, or dropped down the back of a bookcase. It is all that remains, but it is enough to know what the whole thing once looked like. In that sense, I think all flash-fictions are, in some sense, lost and cut off from the whole. I think it’s a good title. Lost Property, is now available from Cinder House. National Flash Fiction day (May 16th) was the brainchild of writer and lecturer Calum Kerr. Calum set up the day to celebrate the short form of flash fiction and to co-ordinate events all around the U.K. and further afield. I interview Calum on my writing.ie blog all about the background to National Flash Fiction day and about flash fiction itself. One of the marvellous results of this initiative is Jawbreakers, the collection of fictions he and Valerie O’ Riordan have co-edited. I’m delighted to announce that I’m an honorary Irish guest inclusion in the book which contains (without any bias at all!) some of the finest writing from the best authors around, luminaries including Tania Hershman, Vanessa Gebbie, Ali Smith, Ian Rankin. There are so many absolute gems among the stories and it’s available here and soon on Amazon. To celebrate National Flash Fiction Day the industrious creative writing centre Big Smoke Writing Factory have organised a flash fiction reading night on May 16th in the Back Loft (La Catedral Studios, 7-11 Augustine Street, Dublin 8 from 7-9pm. They are looking for participants and there is still a couple of days (until May 6) to enter a piece if you’d like to read a flash on the night. I’ll be a guest reader there so I’ll update you on how the evening went! For more details on National Flash Fiction Day. And just on a personal note, check back here tomorrow for the reveal of my cover for Housewife with a Half-Life! Calum Kerr the organiser of National Flash Fiction day is also writing a flash a day on his Flash 365 blog. With this, Feb 29 being a bonus day, he has got lots of us to provide the bonus day stories on his blog including one of mine to be put up. With some great names in short story writing there give the stories a read and don’t forget to go back to Callum’s blog to see his new stories each day. He’s also ran a flash competition and the winners of those very short pieces can be read here.